With 25 years of experience, our expertise is to provide the highest quality auto body repair service and products available. Our highly-skilled technicians will restore your vehicle to pre-accident specifications. We service accident claims for ''ALL Insurance Companies'' and we stand behind our work with a Lifetime Warranty! Call, email or just come by Today! Copyright � 2011 Whitakers Auto Body and Paint All rights reserved. WHITAKERS Auto Body & Paint - Auto Body Repair and Auto Painting, 2019 S Lamar, Austin, Texas TX 78704 Ph (512) 442-2235 , 15303 Pheasant Lane, Lakeway, Texas TX 78734 Ph (512) 266-2886 A great body shop with expert auto body repair, expert auto painting ,dent repair and superior hail damage repair. Meticulous auto body repair and auto trim is essential. Expert hail damage repair is also critical. Quality auto body repair requires meeting strict manufacturer specifications. At Whitakers Auto Body Repair and Paint of Austin, TX and Lakeway, Texas, you will get the kind of detailed care and superior service you would expect on all your auto body repair needs from simple dent repair to custom painting to hail damage to "paintless" dent repair. Our collision repair shops offer the best dent repair services. We still do the unmatched custom painting you want even for basic auto paint repair. Hail damage and dent repair are our specialties and our automobile painting, as well as our truck painting are second to none. Some auto repair shops and even auto body repair shops do not keep up with current standards and practices like we do at Whitakers Auto Body Repair and Paint. There are few precision dent and scratch repair specialists, who will treat your vehicle as it should be treated. 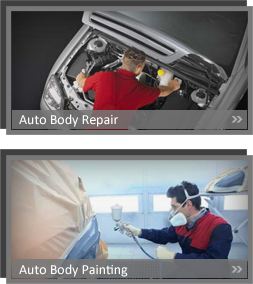 So for auto body jobs of any type, for collision auto body repair and service, free auto body estimates and all of your car service repair and body shop needs, call us today at Whitakers Auto Body Repair and Paint, Austin, Texas and Lakeway Texas.